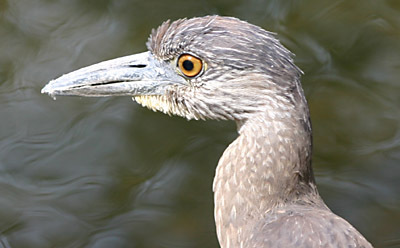 The first wave of the vernal avian invasion has the New York area in a vise. Bold Palm Warbler field generals are currently preparing local woodlands for the massive passerine push to follow. Winter soldiers are most definitely on the wane, but I spotted a few White-throated Sparrows and Yellow-rumped Warblers hanging back this weekend, presumably to ease the transition of power before reporting to the boreal for some much-needed R & R. Juncos seem to have finally moved on, which hardly impacts the force structure at all; this massive deployment of American Robins, Blue Jays,Â Red-winged Blackbirds, and Common Grackles, an exuberant, cacophonous presence to be sure, promises an occupation that may well last until next winter! A quick trip to Tibbetts Brook Park in Yonkers revealed that not many new species have made it to town in the last week. Depending on one’s capacity for delayed gratification, this may either be gratifying or extremely frustrating. I’m personally enjoying the slow march to migratory critical mass. Not only does it seem like I’m spotting a new arrival every day, but this attenuated pace allows me to savor each one. My new year birds from Tibbets Brook were limited to a couple of Chipping Sparrows and the weird wader pictured below. This gangly apparition of putty, gray, and speckled white happens to be a first summer Yellow-crowned Night Heron. Come September, those limpid pools of topaz will turn ruby red as the bird grows into its unmistakable high contrast facial plumage and namesake canary-tinged crest. Until then, this pubescent pond stalker has to contend with the challenges all teenagers face, namely mastering the skills required of adults and trying not to look too dorky doing it.